The Cossacks seem to have caught on at the Floweries Exhibition, where they now perform in conjunction with Buffalo Bill. There is only one drawback to a very clever performance, and that, it seems to us, is the very unnecessary way in which the horses of the troupe are treated. 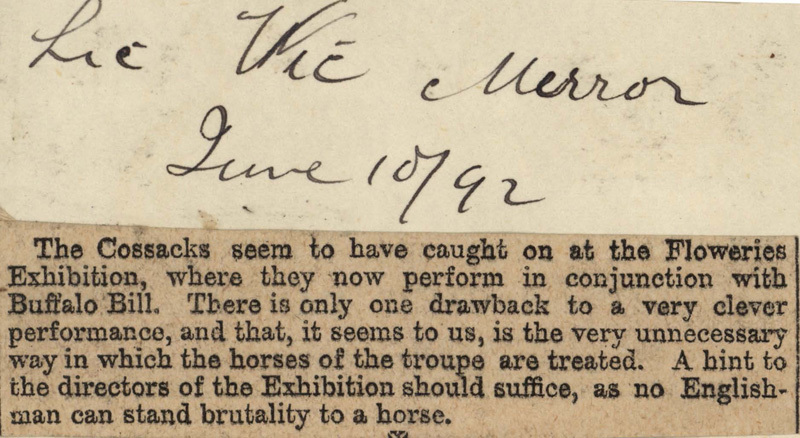 A hint to the directors of the Exhibition should suffice, as no Englishman can stand brutality to a horse.